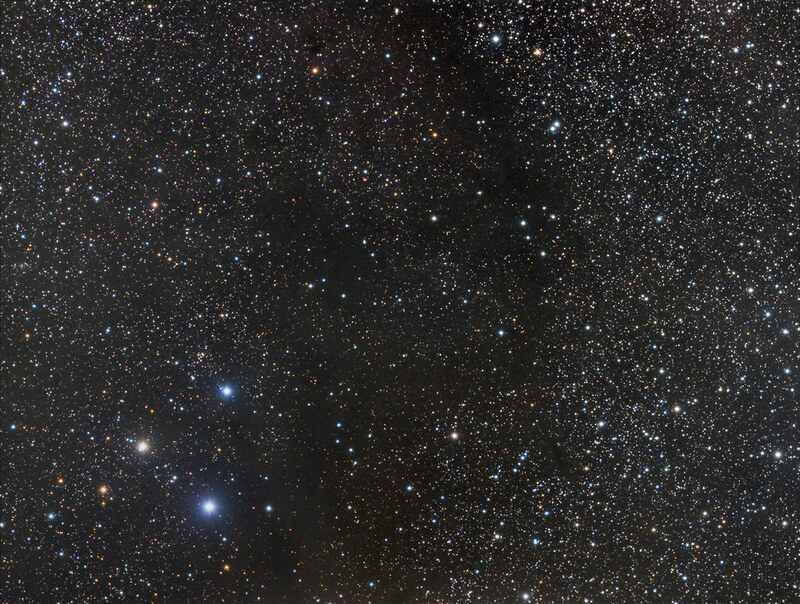 Barnard 37 is a large dark nebula located above the Cone Nebula / Christmas Tree Cluster. This 1.7 x 1.3 degree view depicts just the northwestern portion. Imaged from Dardenne Prairie, Missouri (a red zone - Bortle Dark-Sky Scale) on February 2nd and 8th, 2019 with a SBIG ST-8300M on an Astro-Tech AT90DT at f/6.7 603mm. KathyNS, j.gardavsky, dmdmtr and 6 others like this.